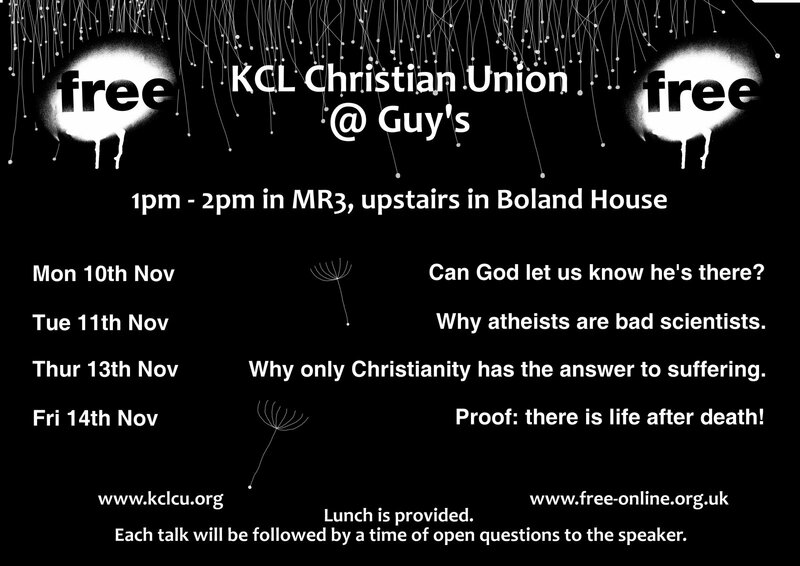 Halfway through the KCLMS CU’s week of events, and we’re facing upto having been told by college authorities to change the name of our lunchtime talks on all publicity, so that they no longer make truth claims. It strikes us all as a little odd that a truth claim can be so threatening that a univeristy society made up of around forty students in a college full of thousands is required to turn objective statements to fence-sitting questions. It was nearly two years ago now, but this letter from Richard Cunningham, Director of UCCF, to the Guardian newspaper, is well worth a read on the importance of freedom of speech meaning exactly that, whether your chosen belief is a subjective haphazard approach to the world or whether you have an actual opinion. All the more stunning given we’re dealing with the context of the university.